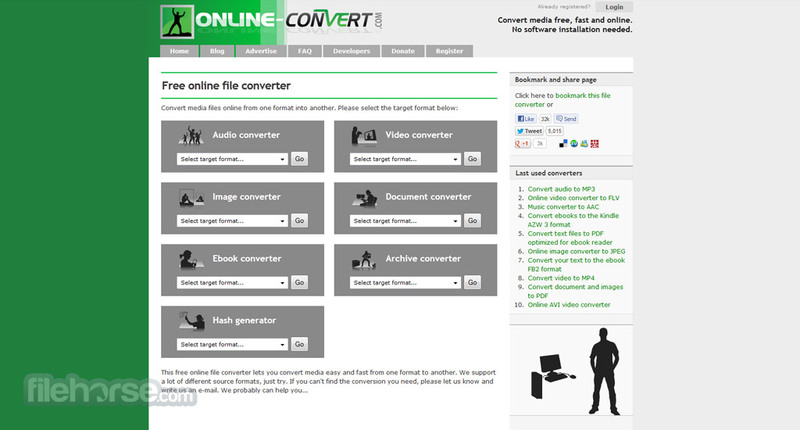 Online Convert is a powerful cloud based service that enables you to convert any type of file you upload to it into desirable format. 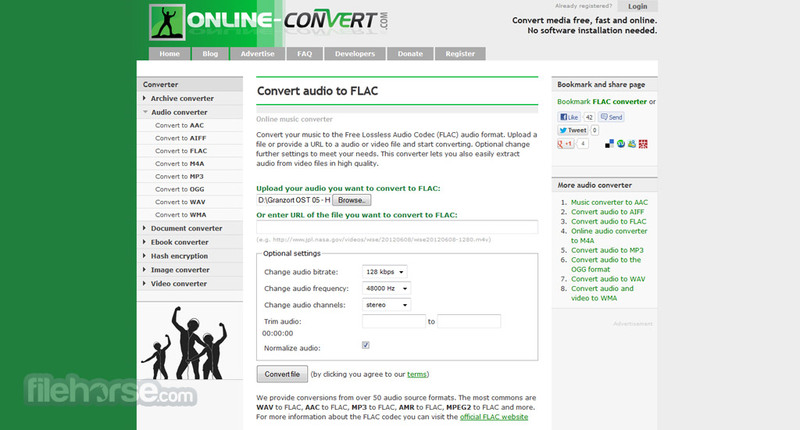 This service does not support only video and audio files, but also images and text documents of all kinds. Clear and intuitive interface leads you trough simple process of selecting the type of file you want to convert (audio, video, text, images), find file on your local storage, and off course choosing into what format you want that file to be converted. For example, video files can be converted in 15 most popular formats. Conversion time of your files will depend from the type of file you have selected (videos take longer than music), and from the chosen format and quality settings. 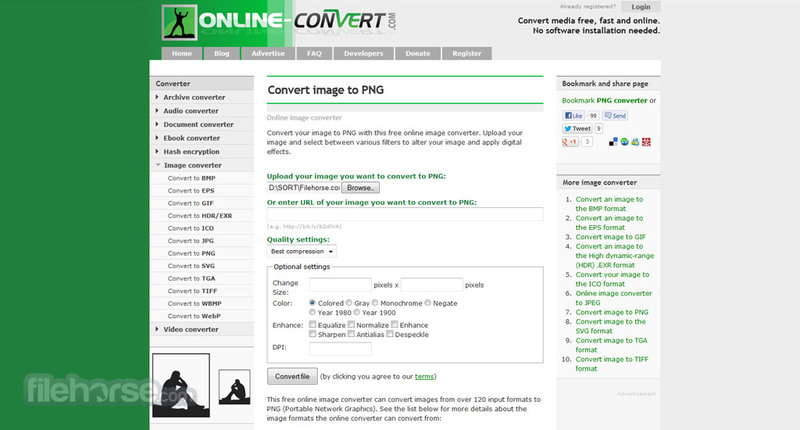 Online Convert is very useful, fast, completely free, and will most surely manage to fulfill all your requests. Try it out!